icon string optional mdi:air-conditioner | attribute Icon to display in place of the state. If you use attribute it will fetch the icon configured on the entity. color string var(--primary-text-color) auto | rgb(28, 128, 199) Color of the icon/card when state is on. auto sets the color based on the color of a light. color_off string var(--disabled-text-color) rgb(28, 128, 199) Color of the icon/card when state is off. New release! 0.0.1 is out. @kuuji (Alexandre) thank you for these great cards. Please consider adding the below card tracker component code, as it’s a practical way of keeping up with your latest release. Can the icon also use a regular image? Not all icons are available on mdi. For example, I would like to have buttons for my favorite TV channels (Discovery, CNN, etc.). Also, can we also allow calling services in action? We already have that feature in many LL cards, so should be easy to replicate the functionality here. @Igor_Jurisic not exactly sure what that does. Could you elaborate? loving this card… but been trying to display on a raspberry pi with the 7" touchscreen, but keep getting “custom element doesn’t exist: button-card” could very well be me and nothing to do with the code, or it just isn’t compatible with the browser on the pi. working very well on other browsers. thanks again for all the work. Just wondering how you put the text underneath each button “Main”, “Wardrobe” etc? Ahhh “name:” was just thinking I hadn’t tried that…thanks mate! 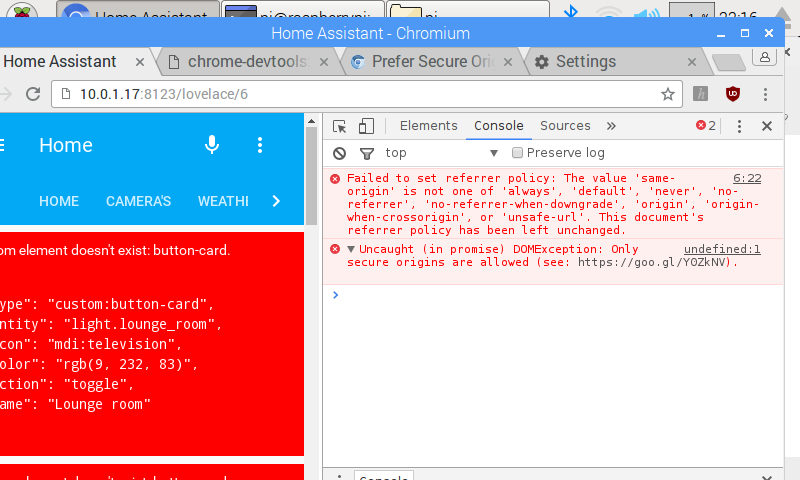 @ashsav could you open the developer tools, go to the console, and tell me if you see any error. It might just be slow to load on a raspberry Pi, have you tried waiting a bit? don’t think this is an error relating to my problem, but my web skills are limited. yeah I did try and wait, but no change. 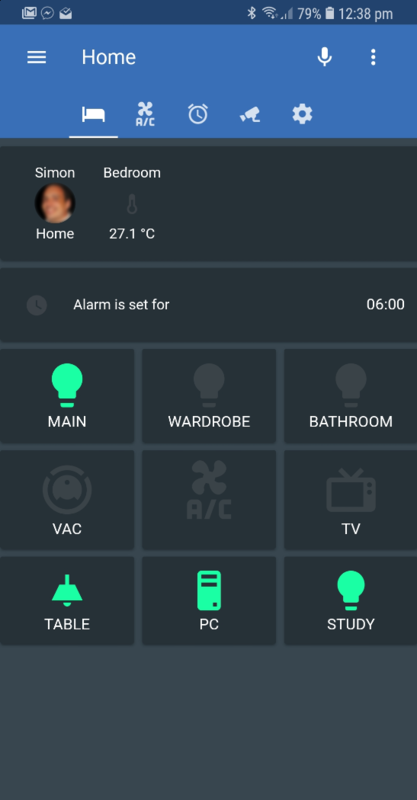 Lovelace button-card for home assistant. Contribute to giacomocarrozzo/button-card development by creating an account on GitHub. Great job, was what I needed to stop using “custom-ui-tiles”. But you still need a button with the name only (no icon and no state).